Life is Fun: Happy New Year!!! In a few hours, we'll be saying goodbye to 2010 and looking forward to a better and brighter 2011. Twenty ten was a year of success and blessings to my family especially to my two sons. They were both an achiever last school year, as for our business I could say that the Lord gave us so much blessing throughout the year. For our health, I thank God that my kids and I are all well and I thank Him more for my hubby is always a healthy diabetic. Our life is not perfect, there were many trials and misunderstanding that came our way, but we were able to stick with each other and face those obstacles. Even our kids had ups and downs but I think, making them feel that we're always here for them make their lives more easy. For our marriage, I hope that we remain strong for each other, more time with each other and more hugs, kisses and ......hahahaha!!! 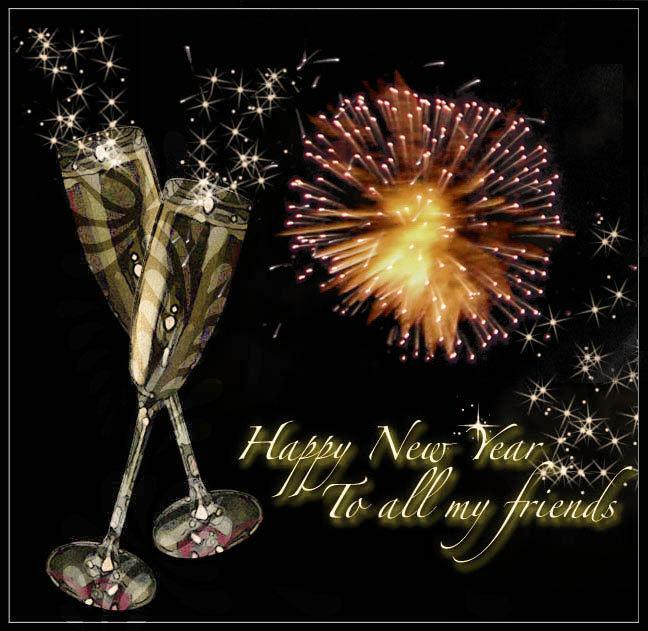 I wish you all the best this 2011!!! ps. cute ng two boys mo. Happy New Year Riz! May you have more foodie adventures para mainggit na naman kami hahaha. happy new year Riza ! wishing you and your family happiness and prosperty this 2011 and beyond ! Happy 2011! Lumafang kami to the max nung sinalubong namin ang new year. Eto pahirapan na namn sa pagpapapayat. hmmmmp!